Christian Media in Nigeria : Kirk Franklin responds to critics on his collaboration with Kanye West on Kanye's new album "The Life of Pablo"
Kirk Franklin responds to critics on his collaboration with Kanye West on Kanye's new album "The Life of Pablo"
Kirk Franklin has replied critics on his collaboration with Kanye West on a track "Ultra Light Beam" on Kanye's new album "This is Pablo". 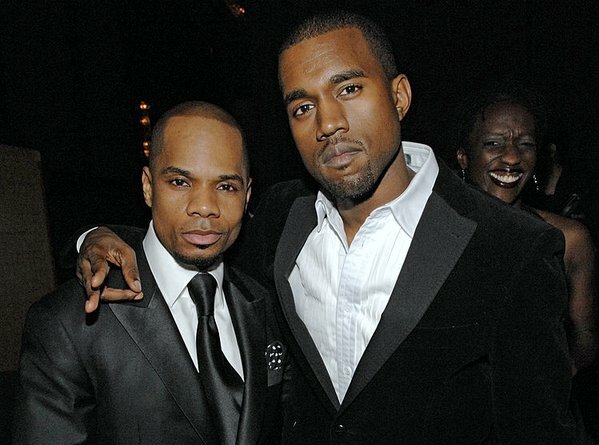 Christian critics have been denouncing the fact Kirk, a gospel artist did a collaboration with a secular musician like Kanye. They are not appreciative of Kanye's kind of music which includes a lot of profanities and cursing. Kanye seems to think otherwise. West contends that it's a "gospel" album, and the opening track, "Ultra Light Beams" even enlists gospel crossover superstar Kirk "Stomp" Franklin to heighten the intensity of the occasion. But for West, gospel basically means forgiveness and family, regret and betrayal. He's the sinner who's always "apologin'," as he once put it. And as a result, there's a somber, swooning ambience to The Life of Pablo. According to The New York Times review of the record, the first song on the album "Ultria Light Beams" features the gospel music artist, producer and songwriter praying. "Indeed, the opening track, 'Ultra Light Beam,' features the gospel singer Kirk Franklin, along with Mr. West's fellow Chicago M.C. Chance the Rapper. 'This is a god dream," Mr. West raps, adding later: 'Pray for Paris/pray for the parents,"' the Times reports. West adds, "When I was sitting in the studio with Kirk—Kirk Franklin—and we're just going through it, I said, 'This is a gospel album with a whole lot of cursing on it, but it's still a gospel album" . "It's the gospel according to Ye. It's not exactly what happened in the Bible, but it's this story idea of Mary Magdalene becoming Mary." Kirk Franklin has worked the likes Jill Scott, Stevie Wonder and Bump ‘N’ Grind singer in the past. So what is new about this collaboration. What do you think? Should he have done a collaboration with Kanye?